Nechť se nad Trutnovem soustředí temné mraky pro finský death/doomový kult vykradačů hrobů HOODED MENACE. Původní dva členové PHLEGETHON (s hostujícími členy) se sice dali dohromady teprve v roce 2007, ale hudebně, je to čistý rok 1987, kdy znamenal death metal hlavně strach, zlo a hřeby na bundách a ne sóla, a důkazem toho jsou jejich 7” splitka s COFFINS a ASPHYX! S druhým, dlouhohrajícím albem "Effigies Of Evil", které teď vyšlo u RELAPSE records, nejsou HOODED MENACE asi tak rychlí jako mnohé kapely na OBSCENE EXTREME 2013, ale jsou dvakrát tak heavy. Lyric-wise the band drew inspiration from the classic 70's Spanish horror series the Blind Dead that included the films "Tombs of the Blind Dead", "Return of the Evil Dead", "Horror of the Zombies", and "Night of the Seagulls". The rotting, eyeless Templar knights who rode on horses and drank the blood of their victims had an influence on the music as well. Slow, heavy pacing of the undead Knights Templars is right there in the riffs, in the beats. 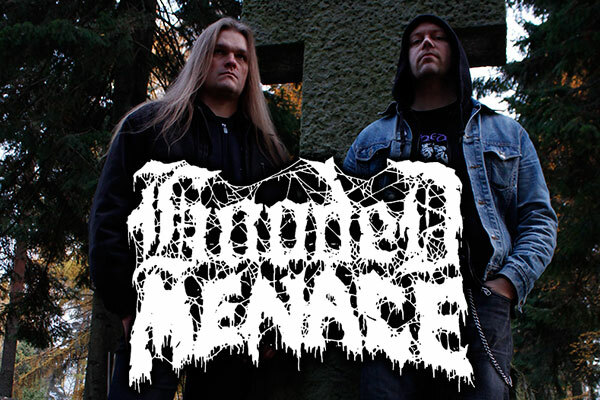 Hooded Menace are looking to spread their music to fans of totally heavy and ultra-crushing doom and old school early 90's style death metal.